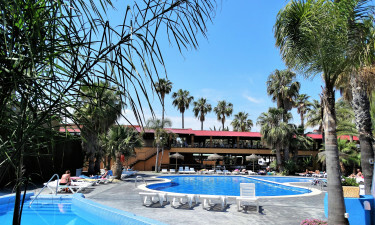 Set on the edge of a gorgeous sandy beach, the location of En Mar also makes it possible for guests to stroll into the town of Costa de Barcelona. 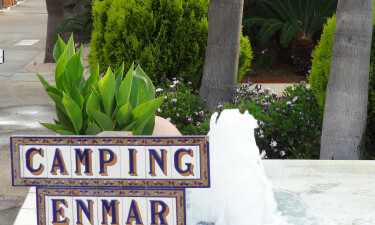 To get the most out of your luxury camping experience, book your stay at En Mar through LuxCamp. The site is perfectly situated between the vibrant cities of Barcelona and Girona, both of which make enchanting day-trip destinations. This enchanting part of Spain is also blessed with several pretty beaches, which are just waiting to be explored by guests during their camping holiday. 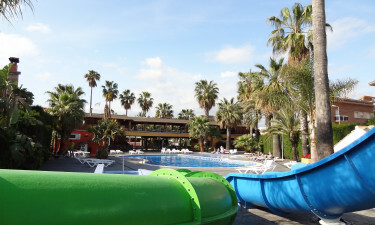 Why choose Camping En Mar? The beautiful beach of Pineda de Mar can be found right on the edge of the site and provides the ideal place to unwind in the sun. Guests can have drinks and snacks delivered right to their sun loungers for the perfect luxury camping experience. The large outdoor swimming pool is set with sun loungers and offers plenty of room for guests to splash around. A wading pool also adjoins the larger pool and is perfectly set up for little ones to have fun in.